With the release of the Google Cast SDK, making interactive experiences for the TV is now as easy as making interactive stuff for the web. Google Creative Lab and Hook Studios took the SDK for a spin to make Photowall for Chromecast: a new Chrome Experiment that lets people collaborate with images on the TV. Anyone with a Chromecast can set up a Photowall on their TV and have friends start adding photos to it from their phones and tablets in real time. The wall-hosting apps communicate with the Chromecast using the Google Cast SDK’s sender and receiver APIs. A simple call to the requestSession method using the Chrome API or launchApplication on the iOS/Android APIs is all it takes to get started. From there, communication with the Chromecast is helped along using the Receiver API’s getCastMessageBus method and a sendMessage call from the Chrome, iOS or Android APIs. Using the Google Cast SDK makes it easy to launch a session on a Chromecast device. While a host is creating their new Photowall, they simply select which Chromecast they would like to use for displaying the photos. After a few simple steps, a unique five-digit code is generated that allows guests to connect to the wall from their mobile devices. The Chromecast device then loads the Photowall application and begins waiting for setup to complete. Once ready, the Chromecast displays the newly-generated wall code and waits for photos to start rolling in. If at any point the Chromecast loses power or internet connection, the device can be relaunched with an existing Photowall right from the administration dashboard. A mesh network connects the Photowall’s host, the photo-sharing guests, and the Chromecast. The devices communicate with each other via websockets managed by a Google Compute Engine-powered node.js server application. A Google App Engine app coordinates wall creation, authentication and photo storage on the server side, using the App Engine Datastore. 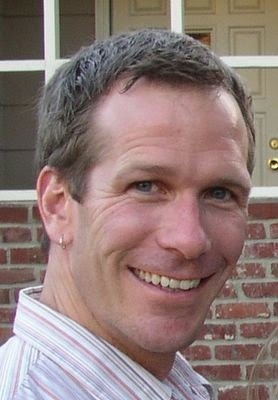 After a unique code has been generated during the Photowall creation process, the App Engine app looks for a Compute Engine instance to use for websocket communication. The instance is then told to route websocket traffic flagged with the new wall’s unique code to all devices that are members of the Photowall with that code. The instance’s address and the wall code are returned to the AppEngine app. When a guest enters the wall code into the photo-sharing app on their browser, the AppEngine app returns the address of the Compute Engine websocket server associated with that code. The app then connects to that server and joins the appropriate websocket/mesh network, allowing for two-way communication between the host and guests. Why is this necessary? If a guest uploads a photo that the host decides to delete for whatever reason, the guest needs to be notified immediately so that they don’t try to take further action on it themselves. To get around this inconsistent websocket disconnection issue, we implemented a check approximately every 5 seconds to examine the ready state of the socket. If it has disconnected we reconnect and continue monitoring. Messages are buffered in the event of a disconnection and sent in order when a connection is reestablished. The heart of the Photowall mobile web application is photo uploading. We created a custom photo editing experience for guests wanting to add their photos to a Photowall. They can upload photos directly from their device’s camera or choose one directly from its gallery. Then comes the fun stuff: cropping, doodling and captioning. Photowall for Chromecast has been a fun opportunity to throw out everything we know about what a photo slideshow could be. And it’s just one example of what the Chromecast is capable of beyond content streaming. We barely scratched the surface of what the Google Cast SDK can do. We’re excited to see what’s next for Chromecast apps, and to build another. For more on what’s under the hood of Photowall for Chromecast, you can tune in to our Google Developers Live event for an in-depth discussion on Thursday, April 3rd, 2014 at 2pm PDT. Igor Clark is Creative Tech Lead at Google Creative Lab. The Creative Lab is a small team of makers and thinkers whose mission is to remind the world what it is they love about Google. Here’s what that looks like for our standard 1-core (n1-standard-1) instance: Finally, we’ve drastically simplified pricing for App Engine, and lowered pricing for instance-hours by 37.5%, dedicated memcache by 50% and Datastore writes by 30%. In addition, many services, including SNI SSL and PageSpeed are now offered to all applications at no extra cost. In celebration of Dart 1.0, the global developer community organized over 120 Dart Flight School events, and the response was overwhelming. Throughout February, 8500 developers learned how to build modern web (and server!) apps with Dart and AngularDart. Attendees got their Dart wings in Laos, France, Uganda, San Francisco, New Delhi, Bolivia and everywhere in between. If you missed out, you can watch this Introduction to AngularDart video, build your first Dart app with the Darrrt Pirate Badge code lab, and try the AngularDart code lab. Here are some of our favorite photos -- some events really embraced the theme! 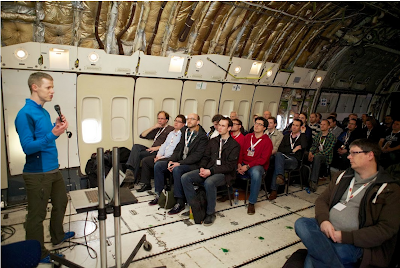 +Kasper Lund, co-founder of Dart, speaking inside a decommissioned 747 at a Flight School hosted by GDG Netherlands. 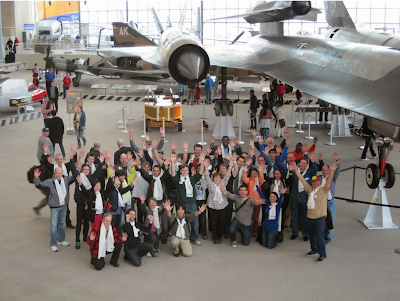 GDG Seattle hosted their Flight School in the Museum of Flight. 8 cities in China did simultaneous events over Hangouts on Air (on Air, get it?) 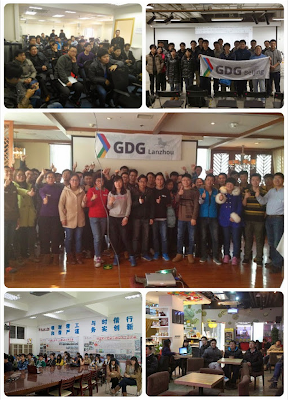 GDGs in Beijing, Hangzhou, Lanzhou, Shanghai, Suzhou, Xiamen, Xi’an, and Zhangjiakou participated. Check out more photo highlights from around the world. Thank you to the amazing community organizers, speakers, volunteers, and attendees that made this possible. Today we launched the Google I/O 2014 website at google.com/io. Play with the experiment, get a preview of this year's conference, and continue to follow the Google Developers blog for updates on the event. Now, on to what I know you're waiting to hear about most. A month ago, we mentioned that this year’s registration process would be different. You won't need to scramble the second registration opens, as we will not be implementing a first-come-first-served model this year. Instead, registration will remain open from April 8 - 10 and you can apply any time during this window. We'll randomly select applicants after the window closes on April 10, and send ticket purchase confirmation emails shortly thereafter. If you can't make it to San Francisco, or would just rather experience I/O on your own schedule, we'll be bringing I/O to you in two ways. Watch the livestream of the keynote and sessions from the comfort of your home or office. Or, attend an I/O Extended event in your area. More details on these programs will be available soon. We're working hard to make sure Google I/O 2014 is the best I/O yet. We hope to see you in June! Tada! And what’s more, most places have attributes beyond just location: stores have opening times, rivers have current speed, and each Girl Guide troop has cookie selling turf. The Data layer allows you to represent all attributes in GeoJSON right on the map and make decisions about what data to display more easily. You can use this information to create a styling function that says, “show the earthquakes as circles, scaled to their magnitude” and as the data or rules are updated, the styling will automatically be applied to every feature. This beats having to manually update each feature or rule as more information is added to the map. Get started by checking out our developer docs, the code for these earthquake maps, this cool demo showing data from different sources, and this Google Developers Live video. This is a new feature, so if you run into problems or think of any additions you’d love to see, get help on StackOverflow and check our support page for the right tags to use. We’re looking forward to seeing what you build with this new tool and, as always, we’re eager for your feedback. Please comment on this post or on our Google+ Page. Jen Kovnats is a Product Manager on the Maps API team bent on making mapping easy. We've just announced Google Docs and Sheets add-ons — new tools created by developers like you that give Google users even more features in their documents and spreadsheets. Joining the launch are more than 50 add-ons that partners have built using Apps Script. Now, we're opening up the platform in a developer-preview phase. If you have a cool idea for Docs and Sheets users, we'd love to publish your code in the add-on store and get it in front of millions of users.